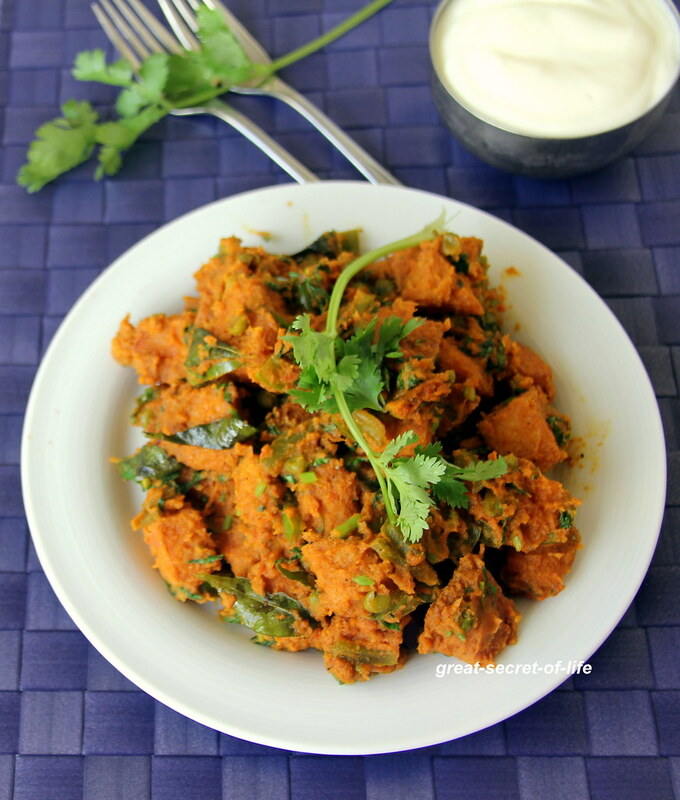 Slice the idli. 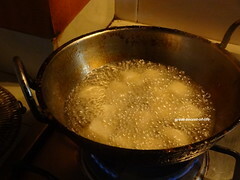 Heat the oil and fry idli till it is golden brown. 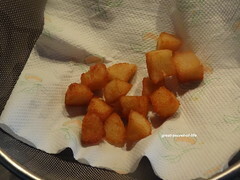 Leave it on tissue paper for extra oil to be absorbed. 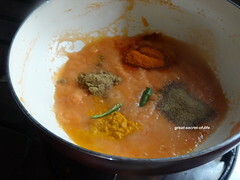 Heat 2 teaspoon of oil add cumin seeds, curry leaves and let it pop. 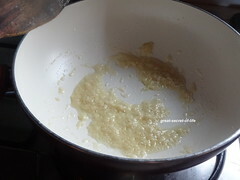 Add Ginger paste, Garlic paste and fry for 30 sec. 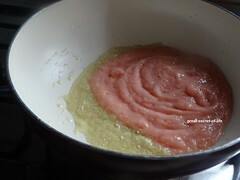 Add onion and tomato paste and fry till raw smell released. 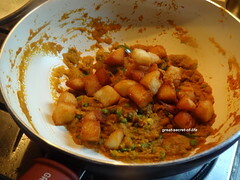 Add Coriander seeds powder, green chilli, red chilli powder, turmeric powder, Garam masala. 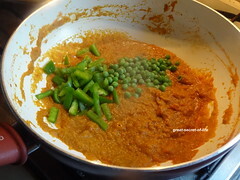 Cook for another 5-7 mins.Add Green Bell pepper and green peas, 1 cup water. 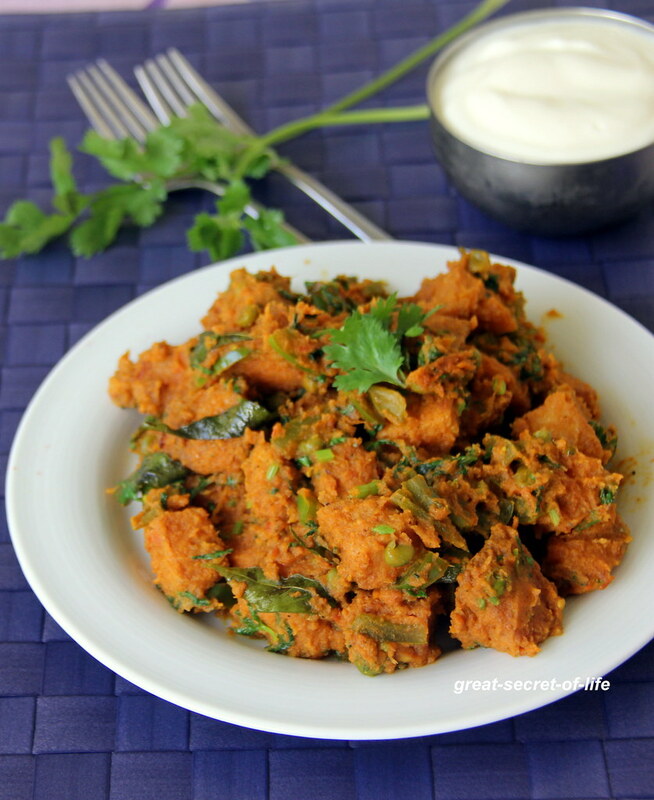 kaima idli looks delicious I would like to try it. 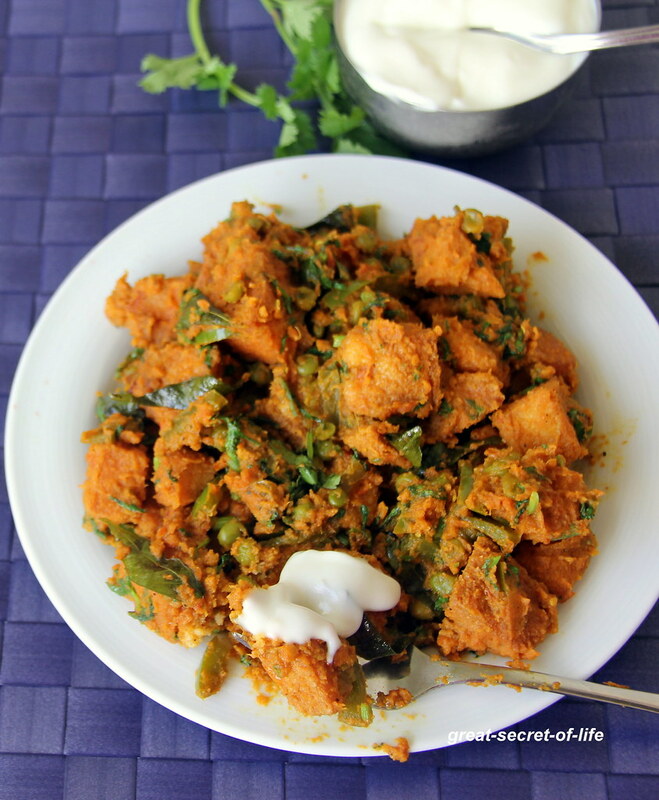 awesome and tempting kaima idli.